But the news has come just as the energy giant is about to kick-start its Local Energy Market (LEM) trial in Cornwall with the installation of around 100 residential solar-plus-storage systems. Last year Centrica launched a three-year trial of a LEM in Cornwall, under which it would provide solar-plus-storage installations to homes and businesses in the area. Since then information has been drip-fed out by Centrica amidst suggestions that competition to take part in the trial has been fierce. Centrica partnered flow battery manufacturer RedT to install a 1.08MWh battery to take part in the trial last April, while a further update in November revealed the company would “most likely” install up to 100 residential battery systems in homes as part of the programme. Centrica said at the time that of the more than 300 homes and businesses to have registered an interest in the trial, on-site technical surveys would whittle that number down to around 100. Today’s update reveals that this work has now been completed, with installations of those 100 systems to be conducted this year alongside larger projects comprising storage, renewables and other distributed generation assets in as many as 15 businesses. 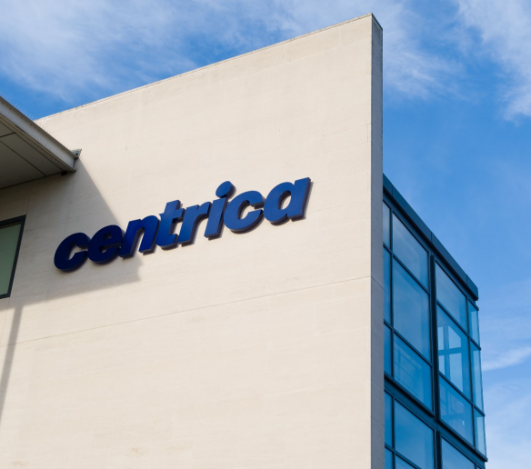 But it is not all good news for solar at Centrica. The company also confirmed today that it has been forced to scale back its UK solar business in the wake of ongoing uncertainty surrounding the feed-in tariff. Centrica’s solar unit has operated within its larger Decentralised Energy and Power division, a strategically important part of Centrica’s ongoing strategy to focus on decentralisation. While the division’s overall revenues have increased 6% year-on-year and its order book has swollen by almost a quarter (24%), losses within the unit grew to £53 million last year reflecting increased capital expenditure in the unit.